" This is a quiet and reliable machine. Easy to travel with and use anywhere! " " Fantastic machine. The noise level is better than the S9. It is well worth the price. " 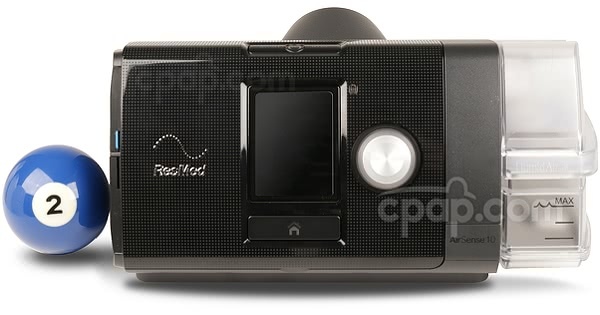 The AirSense™ 10 Elite CPAP Machine with HumidAir™ Heated Humidifier is the premium single pressure machine in ResMed's AirSense™ line of machines. The HumidAir™ humidification system is integrated with the machine so there are less parts to the system, making it 23% lighter than former models. 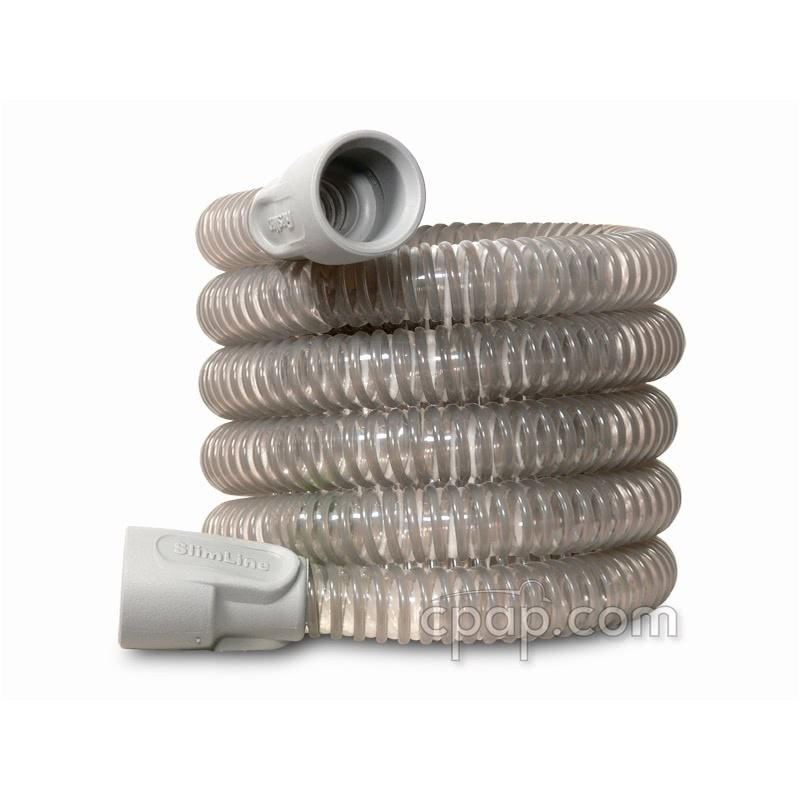 The OPTIONAL heated ClimateLineAir™ Tube enhances humidification and reduces rainout. The AirSense™ 10 Elite CPAP Machine with HumidAir™ Heated Humidifier is a single pressure machine and built in heated humidifier with advanced therapy features. 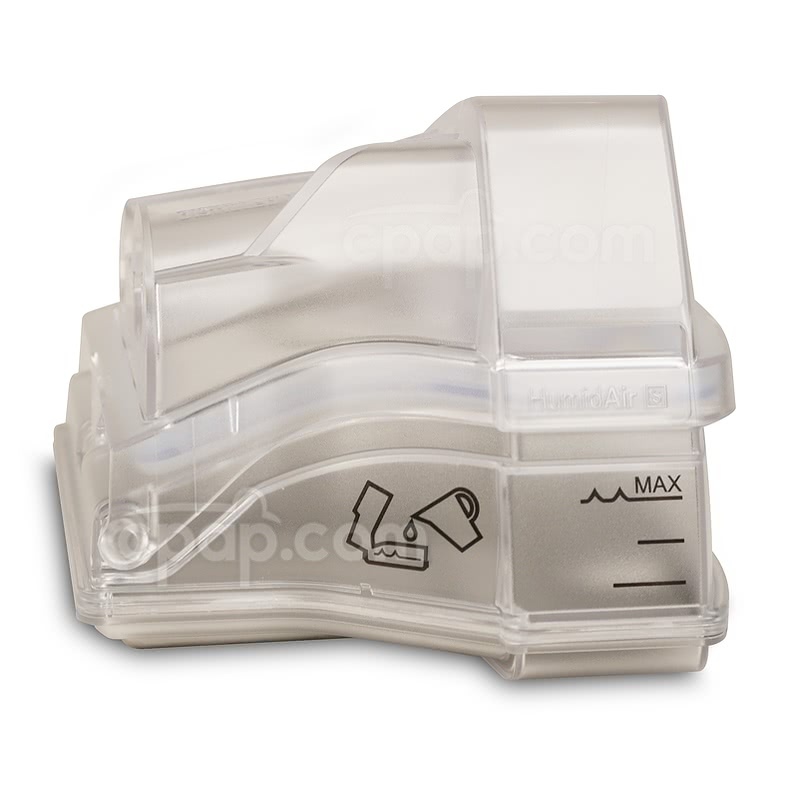 This is a single pressure CPAP machine which delivers a set pressure during use. This machine does not automatically adjust to change the pressure. 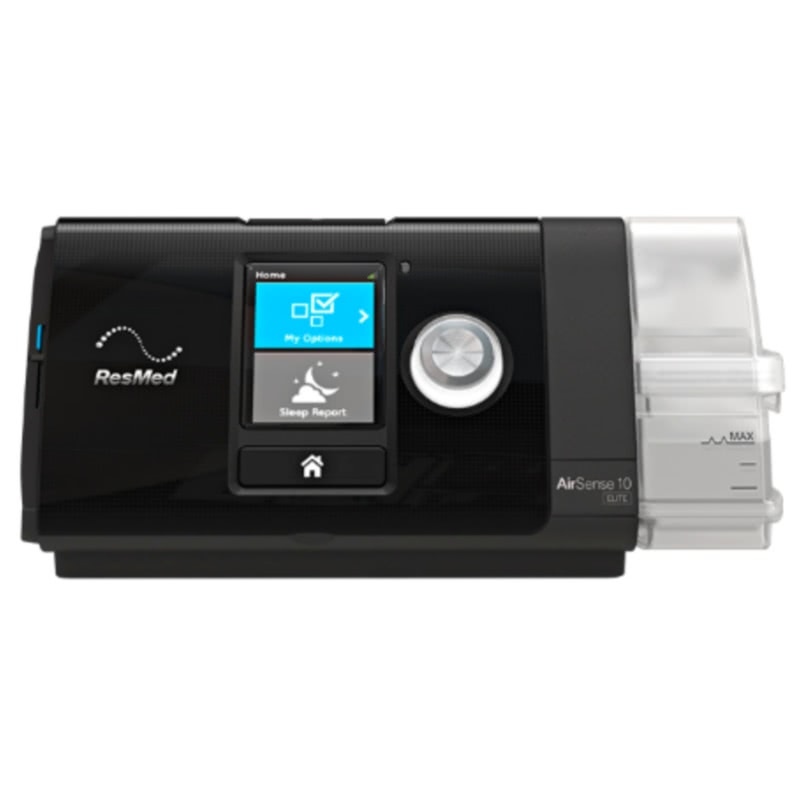 ResMed has integrated the HumidAir™ humidifier into the machine making it smaller and easy to manage. Select a setting of 1 - 8 to get customized humidification.Or, set the humidifier to zero to turn it off. Add the optional ClimateLineAir™ heated tube which will set the humidifier to "Auto" and allow the humidity control technology to set the optimal humidification with very little rainout. 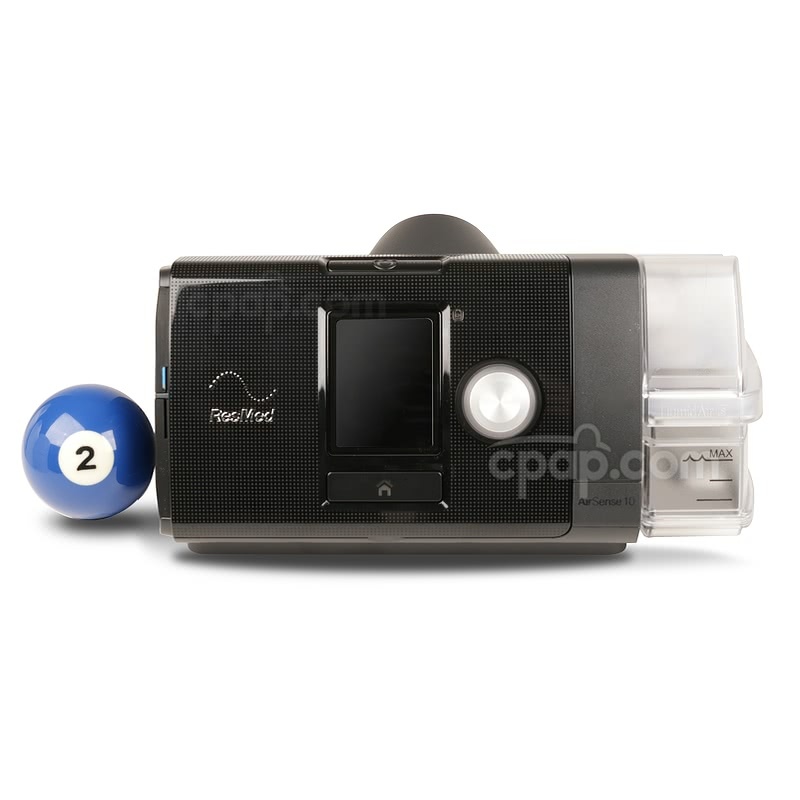 ResMed's EPR™ feature offers a more natural delivery of pressure to soften the air flow. The machine smooths the breathing cycle by monitoring the breathing pattern and matches the inspiratory and expiratory cycle of the user. 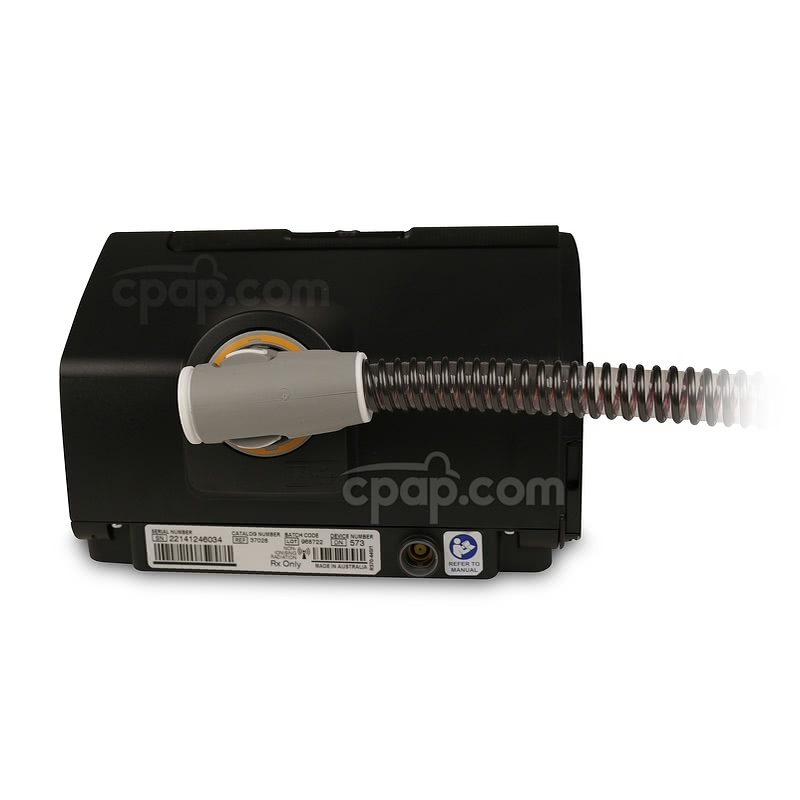 The EPR can be set to three different levels or turned off. The chamber should be taken apart and hand washed weekly using warm water and a mild detergent. It should be rinsed well and allowed to air dry out of direct sunlight before reassembling. The chambers should not be washed in a dishwasher or washing machine. The SlimLine hose should be washed in the same manner and allowed to completely dry out of direct sunlight before reattaching to the machine and mask. 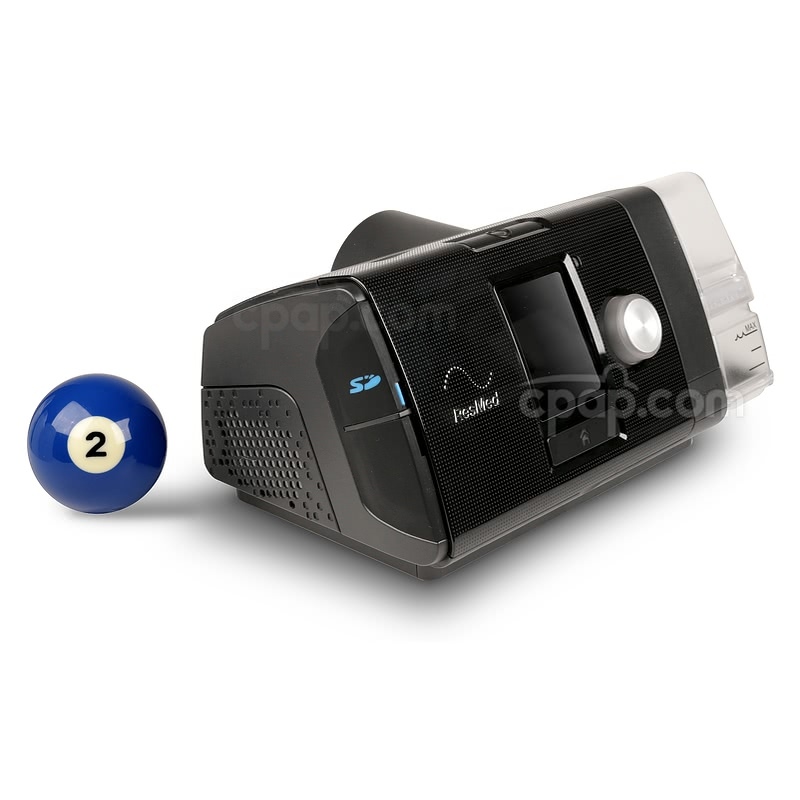 FAA Compliance Letter: To view the FAA compliance letter for the AirSense™ 10 Elite CPAP Machine with HumidAir™ Heated Humidifier, click here. As of early 2015, the AirSense™ 10 Elite CPAP Machine with HumidAir™ Heated Humidifier comes with an upgraded travel bag. The improved design is bigger, measuring 13.24 in long, 12 in wide, and 5 in tall. 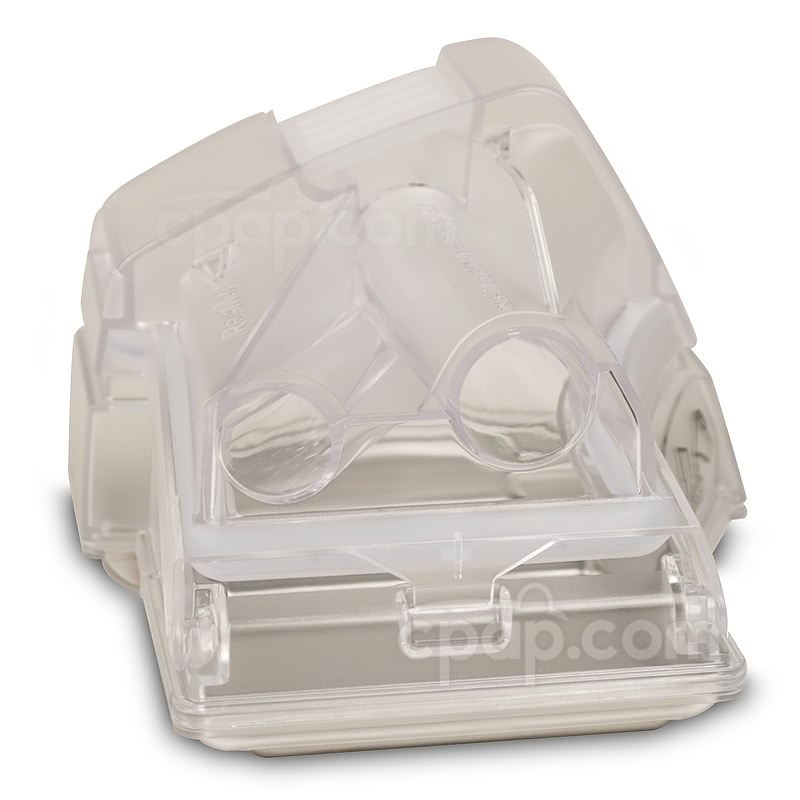 The larger space allows the user to pack and protect their machine as well as the accessories for the machine, such as a mask. 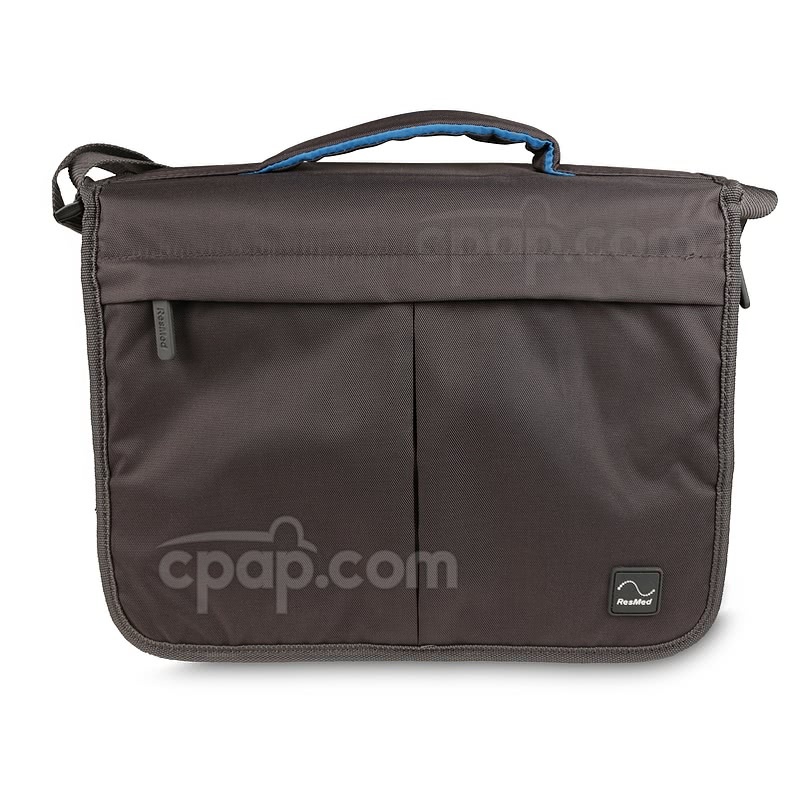 There is a zippered compartment located between the lid and the base of the bag. The included SlimLine™ hose is located in this compartment. An image of a hose is placed along the compartment to note it is the location where the user can safely store the hose. Additional images are placed on the flap near the edge of the bag. These pictures signify the designated location for the power cord and the mask. Do not fill the water chamber past the max fill line as this could result in water entering and damaging the device. Allow the water chamber to cool for ten minutes after use before handling as it could be too hot to the touch. 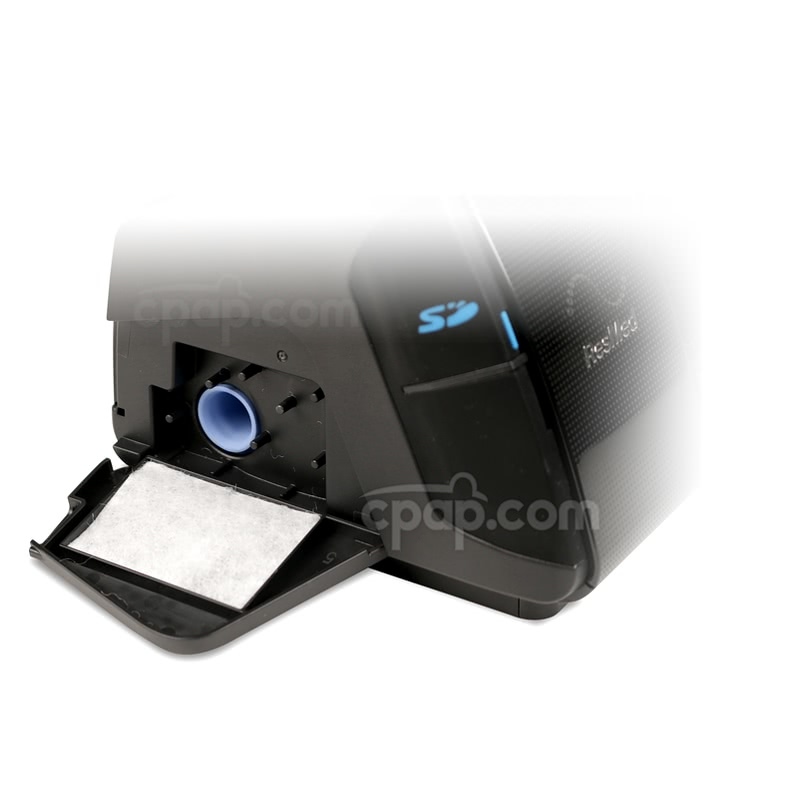 The machine will display a blue snowflake in the upper right of the screen while cooling is taking place. The water chamber should be washed weekly using warm water and a mild detergent, rinsed well, and allowed to dry out of direct sunlight. The standard water chamber included is not dishwasher safe and should only be hand washed. To view a dishwasher-safe chamber, see the Dishwasher Safe Water Chamber for AirSense™ 10 Humidair™ Heated Humidifier. 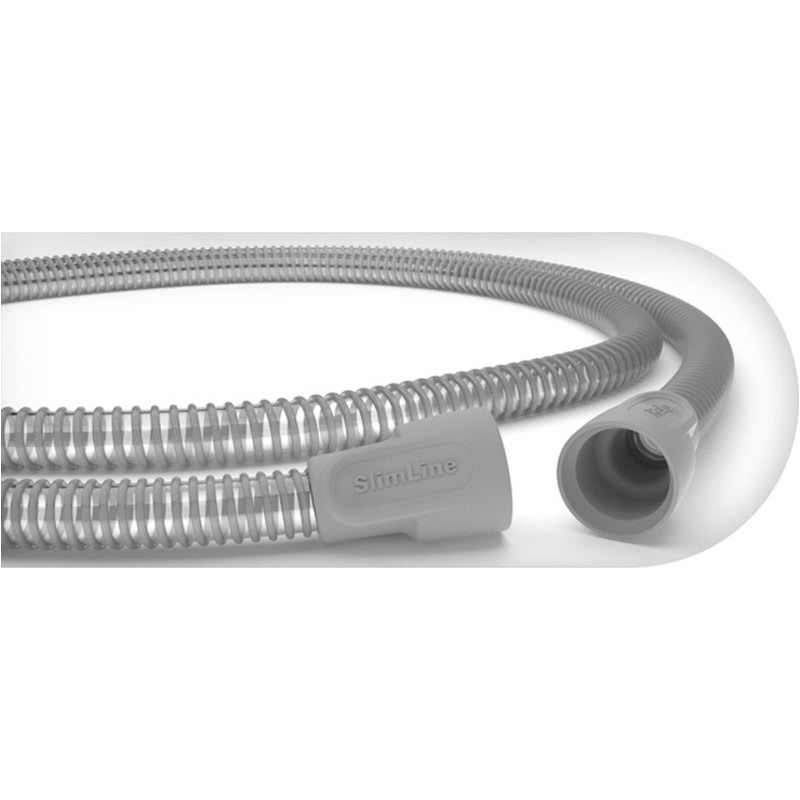 A SlimLine™ hose is included with the purchase of the AirSense™ 10 Elite CPAP machine. The hose is found in the interior, zipped compartment of the travel bag. The zippered nook is located at the point where the cover meets the bottom of the travel bag at the back of the machine compartments. While the tube brush can certainly be used to clean the ClimateLine hose models, it's not able to make the 90-degree turn at the machine connection end and will be unable to clean the entire tube. The tube brush is fully compatible with all other hose models. 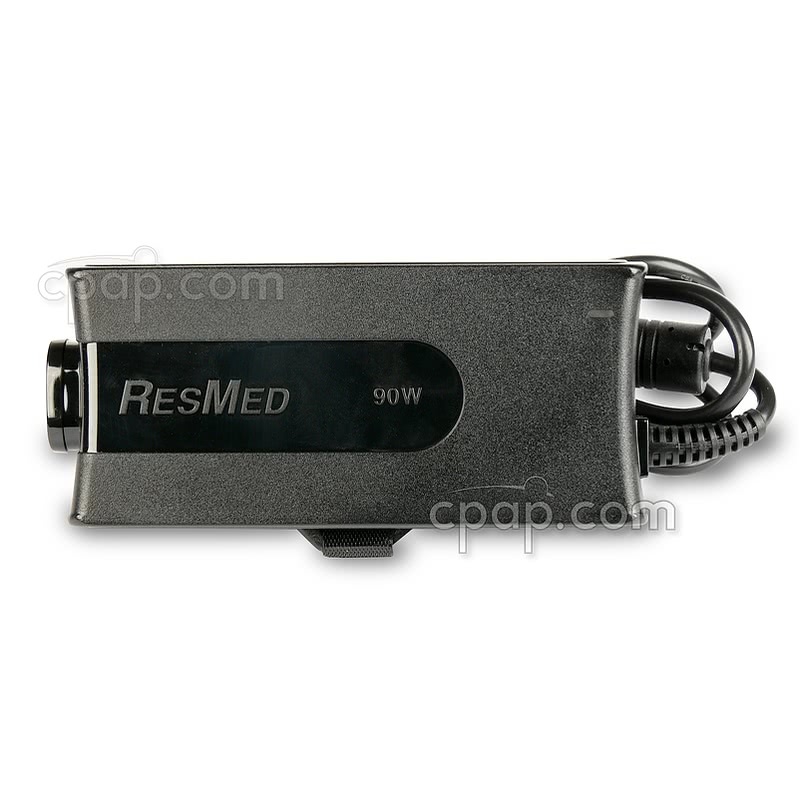 The following information is applicable for the ResMed AirSense™ 10 Elite CPAP Machine with or without the humidifier turned on. Keep in mind that using the heated humidifier will reduce the run time of a battery by approximately half. DC capable: Use the DC Converter 24V 90W For AirSense™ 10 and AirCurve™ 10 Machines to operate the AirSense™ 10 Elite from a DC power source (battery). Medistrom Pilot 24-Lite The Medistrom Pilot 24-Lite is quikcly becoming one of the best ways to power the AirSense 10 off-the-grid. With no need for an inverter, the Medistrom Pilot 24-Lite connects easily to the AirSense 10. 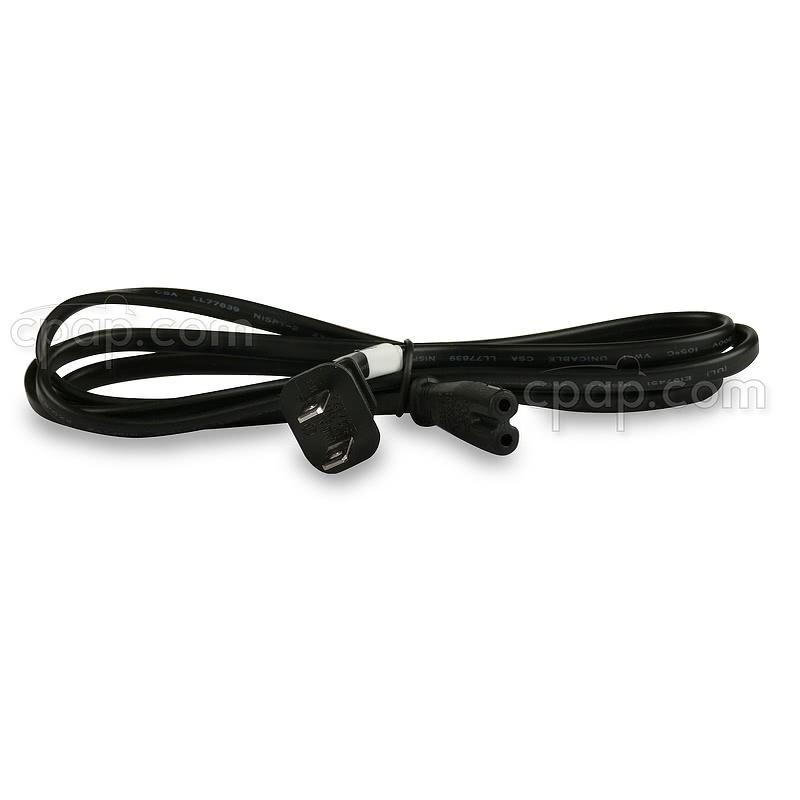 The required cable is included with the battery, and there's nothing extra to buy. This battery is becoming the best way for AirSense 10 users to go off-the-grid. It's a lightweight Lithium-Ion battery, and can provide power for 10 hours or more depending on pressure settings and humidification. The Pilot 24-Lite doesn't require an inverter or special equipment to connect to the AirSense 10 and the required cable to make the connection is included with the battery. Car and Boat Deep Cycle Batteries are the same type of batteries that can be used with cars and boats. 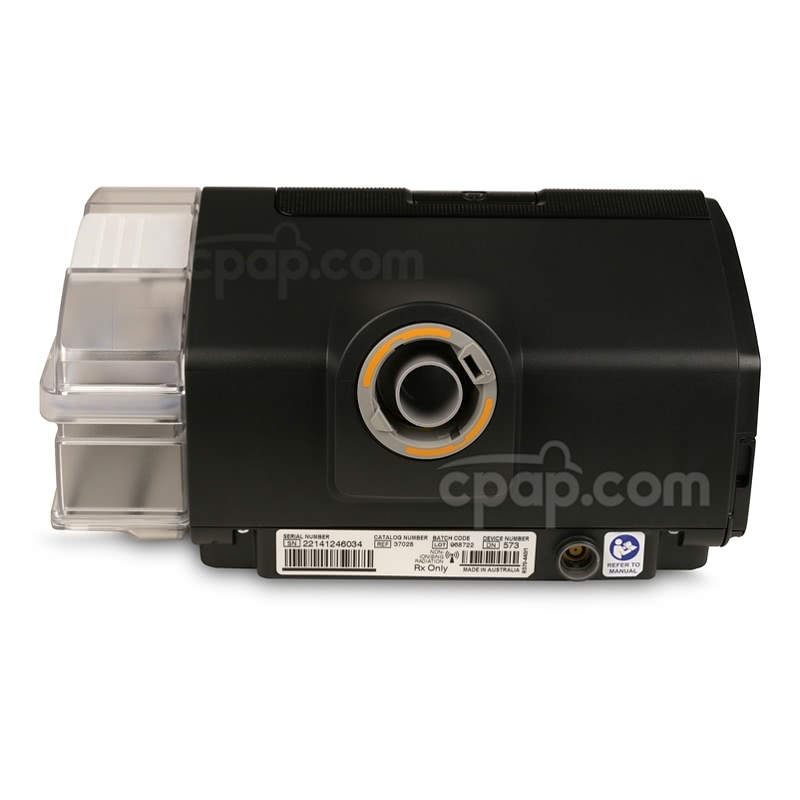 These are lead acid batteries that CPAP.com does not sell. Car and Boat Deep Cycle Batteries are typically sold at auto parts stores.